Reasons to track a flight: The aircraft as means of transport takes an increasingly important part of one of our trips. 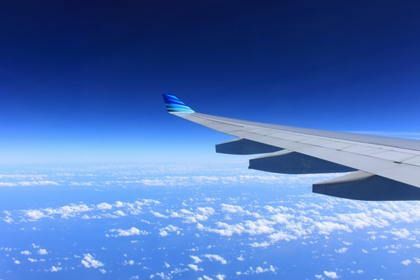 Whether it is business travel, short trips to the Mediterranean, or the annual vacation on the other side of the world, just longer distances without an airplane are hard to imagine. Quite convenient for short trips or weekend breaks are the short flight time and of course the ever-falling prices. So, instead of 8 hours driving by car, you prefer to get on the plane. Even more so if you live near an airport, the short trip and moreover coming short flight time is a time and stress-free alternative. Travel to distant countries on other continents or islands are almost impossible without a plane. The only alternative is to travel by ferry or cruise ship. However, these trips are more suitable for lovers of ship travel, where holidays begin during the cruise and the distant lands are only part of the journey. Try it out and use the service to track flight to see what in which time an aircraft takes to travel sometimes long distances and all over the world. So you can plan a flight when you plan a trip to find out which route an airplane takes. What does it mean to track flight live? With the help of the flight tracker you can follow each flight live and online via the Internet. Whether it is your own planned trip or friends and family who are currently in the plane. You know at any time where the airplane is. How does it work to track a flight over the Internet? This works with the help of current radar data, airline information, and civil aviation traffic and radio networks. These data are displayed in real time on the sides of the flight tracker on an interactive map. As a user, you are guaranteed to receive all the important data and information to track a flight. Among other things, you will get the current course, the speed and distance traveled, the estimated time of arrival, data about the plane, the airline and much more. So you get more information than just tracking the pure flight. All aircraft are equipped with transponders which send a continuous signal to track the flight or to determine the current position. Only the data of the civilian aircraft are publicly accessible, so that everyone can follow their flight. This technique is called ADS-B (Automatic Dependent Surveillance – Broadcast). With this technique, even the pilots who are currently flying with their planes can look at the airspace just as you would do on your computer, tablet or smartphone. This data then uses the air traffic control system to monitor the airspace. The flight tracker can access this data and then graphically worked up this and display it on satellite images or maps. This also makes it possible for you to track flight. The use of this data is for you free of charge and without complicated technology quite simply from any computer or smartphone over the Internet possible. So you can track a flight from anywhere in the world. Who can use this service to track a flight over the Internet? There are many different occasions to track a flight. Too easy first place for fun and interest in aviation as well as the observation of the airspace around the world. But also in practical terms it can be valuable and important to follow a certain flight. For example, when it comes to business meetings, you can track flight to schedule the arrival of employees or business partners or to obtain information about possible delays on arrival and departure. Even if companies are waiting for goods that are airborne with a service provider or even with their own aircraft, they can track flight and the arrival can be better coordinated. And for private users of the flight tracker, it is important to find out, of course, whether friends or family members arrived safely at their destination. And if they are on the way back and you want to pick them up from the airport, for example, you can track flight to make sure the plane arrives on time. Thus, you can react quickly in case of possible delays and schedule them. So you see, there are so many reasons to use flight tracker to track a flight. You want to follow a flight? What information do you get? There are several providers that offer a flight tracker. Therefore, the amount of information offered to you can differ slightly from one another. However, it is very likely that the information is always sent by the corresponding transponders of the aircraft. These include, for example, the current course, the airports, the current or average speed, the distance already traveled, and often the distance that still needs to be flown. Sometimes you will also be aware of possible delays, the approximate time of arrival or the terminal on which the passengers arrive. All this data from the flight is largely identical to the information that the passengers on board can display on their screens. This is precisely the information that the corresponding transponder emits. You see, track a flight is an incredibly practical matter, which can be fun. All this is easy, live, for free and without any further obligations. The data are already prepared for you so that they can be displayed via an Internet browser without additional programs or apps. To track a flight has never been so easy and comfortable.